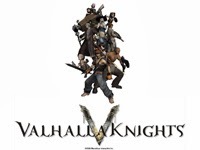 The original Valhalla Knights is free on the PS Store. Wait are you waiting for? The game, released in 2007 for the PSP, is now a freebie. Should you care? Read a little about the game: Experience a unique adventure featuring endless customization options as you build the ultimate six-member battle party to traverse through the dangerous lands of Eldar. • Customizable characters from five races (human, dwarf, halfling, elf, machine) and eight different job classes (Fighter, Mage, Priest, Thief, Knight, Samurai, Ninja, Anchor). • 100 different types of monsters such as dragons, giants, vampires, and ghosts. 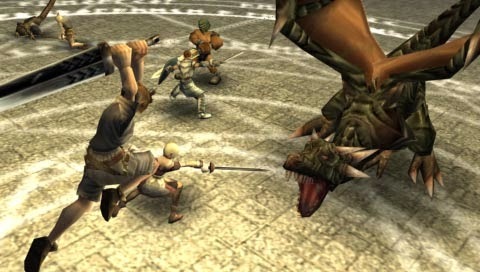 • Switch between controlling any of the six party members on the fly during intense real-time battles. This all coincides nicely with the release of VK3 for the PS Vita on October 15th. Available in the US. Let us know if you're going to pick this one up, or if you've already played it. Getting VK3?